Ah yes, St. Patrick’s Day: the one day of the year when everyone eats Kosher-style corned beef (telling each other it’s Irish) and drinks the one Irish whiskey they’ve heard of: Jameson’s. Not that there’s anything wrong with Jamie (I’ve sung it’s praises before), but the Irish Whiskey industry has been exploding in the last few years (back from a pitiful state) and so many of the products have been impressive that it seems criminal not to explore more. 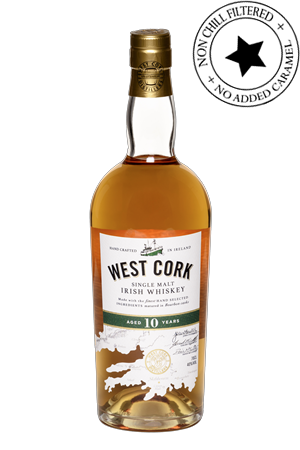 One label I’ve been enjoying over the past year is West Cork, a newer producer (since 2003) in the Atlantic Archipelago (the most Southern, actually) using pot stills hand-made on site, only Irish malt, and spring water. 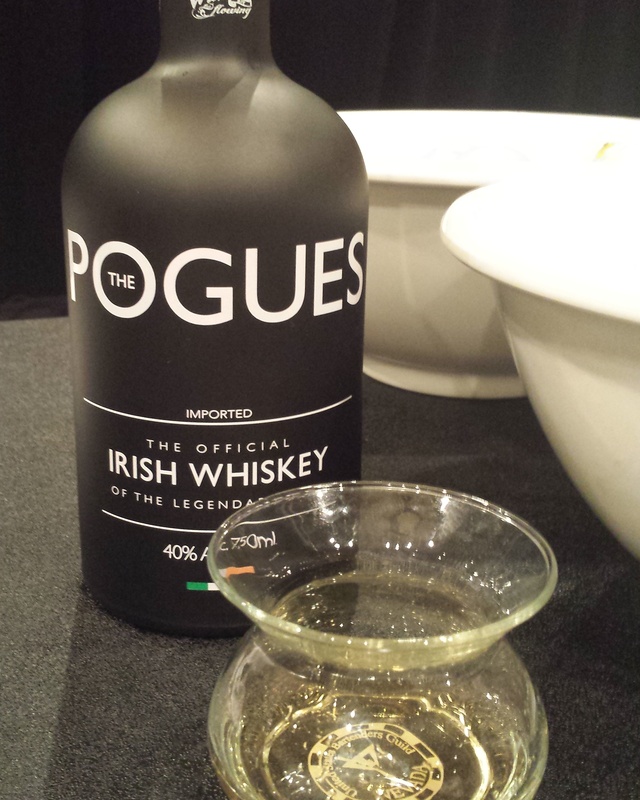 Like most Irish Whiskies, they are triple distilled, and finished in bourbon casks--these also non-chill filtered. I got to try the 10 year old single malt and the limited release barrel proof, both very amiable drinkers. 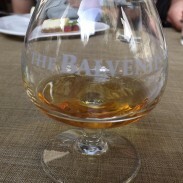 The 10 year old (40% abv) is made from 100% malted barley has an antique straw color, with a nose of bright tropical and flowery malt and stewed stonefruits and a very malty, vanilla-forward mouth with a bit of orange oil and a white pepper finish. The Barrel Proof (or Cask Strength, depending on where you get your bottle) comes in at 62% abv—and you can definitely tell it’s overproof, even if not obnoxiously so. 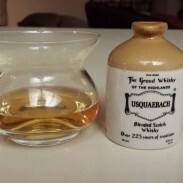 This is a blend (crafted by Barry Walsh and Frank McHardy) of 2/3 grain and 1/3 malt whiskies, matured first in bourbon casks then finished in used Irish whiskey casks before being married for six months. Color is a burnished copper. To me, the nose is nothing if not banana taffy (odd, I know) with a mouth of rich butterscotch and chiles. Adding a bit of water, that morphs to bread pudding and chiles. 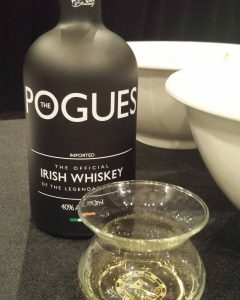 West Cork also produces the “official” whiskey of the Pogues—and could you ask for a better endorsement? I got a chance to try this as well a few months back, and can say it was far better than you’d expect from a musician-endorsed product in an opaque bottle. West Cork Distillers have just won Craft Distillery of the Year from the World Whiskey Awards, so I guess I’m not the only one who feels this way about them. Not every St. Patrick's Day tradition may be authentically Irish, but West Cork is the genuine article.